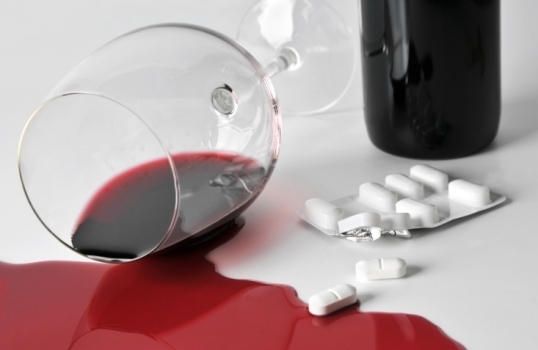 Medication cannot keep you sober on its own but can be of considerable assistance when combined with willpower, counselling and other alcohol rehab techniques. Although there is not yet any purely medication based cure for alcohol (research is continuing), there are four drugs which are commonly used to treat alcoholism and alcohol dependency disorder in order to help people avoid relapse or just decrease their drinking. Extensive research has shown that combining an approved form of alcoholism medication with therapy and other types of alcohol treatment often improves the outcome for the patient. As well as reducing symptoms of alcohol withdrawal and minimising cravings, alcoholism medication commonly acts as a helpful boost for recovering alcoholics who slip temporarily back into drinking and need assistance to avoid a complete relapse. Acamprosate is primarily used to restore the brain functions damaged by long-term alcoholism, which assists in maintaining abstinence, and also reduces long term withdrawal symptoms. It is particularly favoured as it is not addictive itself, can be safely withdrawn at any time and produces very minimal side effects in the vast majority of cases. Naltrexone reduces both alcohol cravings and the levels of pleasure produced by drinking alcohol – this is particularly useful for those exiting alcohol rehabilitation who need help to “stay on the wagon.” It works by blocking neurons in the brain’s natural opioid system which inhibits the brain’s ability to “enjoy” the consumption of intoxicants like alcohol. Again it has few side effects but cannot be taken by people with liver problems and is dangerous for duel addiction diagnoses as it increases opiate tolerance which makes addicts more vulnerable to overdose. Oral naltrexone, taken as tablets, is usually taken daily for up to three months, while injectable naltrexone is injected into the muscles and works continuously for a month – which can be useful if daily medication compliance is an issue for the patient. Disulfiram, also called Antabuse, is a form of aversion medication. Patients taking this medication cannot drink alcohol without becoming extremely ill which generally assists abstinence. The drug works by disrupting the final stage of how the body metabolises alcohol which causes uncomfortable reactions such as thirst, nausea, vomiting, chest pains and dizziness. At higher doses these symptoms become more severe and can include seizures, heart failure or even death – however doses this high are no longer authorised by medical authorities and any alcohol detox process which involves Disulfiram will be very closely monitored by professional staff in order to be safe. Medication can play a key role in supporting recovery from alcoholism and alcohol dependency as long as it is administered by a professional with appropriate qualifications and experience. Remember also that medication is not yet available which works as a standalone for alcohol addiction – it must always be combined with other therapy and alcohol rehabilitation techniques. Trust me, I am a Doctor - What sways patients to pharma websites?